Any intelligent hiring manager will see straight through this. They want candidates who are real, vulnerable and introspective. Give a real weakness and rate yourself on a task. It could be time management, business writing or analytical skills. Say, I made a list of my skills and ranked what I’m best at and the bottom three were A, B & C, and I think these are areas I can really improve on. I don’t think I’m terrible at them, but I think they’re my weaknesses. Remember, a weakness doesn’t mean you stink, it means it’s something that’s not a strength. There’s a big difference. Or you can say, let me tell you about a time I screwed up on a project and what I did to fix it. It could be a time you negotiated poorly and lost a deal; a time you didn’t allocate enough time before a big presentation, and while it went well, it definitely could have gone better. If you’re in management, you can share experiences you had as a new manager and how you learned from those. What I like to hear in candidate’s responses is how they’re currently working with their manager and HR team to get better…that it’s on their improvement plan and steps have been taken to improve in that capacity. I know you asked what my weaknesses are, but let me tell you a strength and how a weakness exists within that. My strength is that I will hit any deadline without a doubt. However, in doing so, I really remove myself from the people aspect of the business for a week or a month, and I’m not as personable with my team and my coworkers as I should be because of the emphasis of hitting the deadline. So, at managing the project, I would grade myself high at an 8 or 9, but from the aspect of communicating progress to my team, I’d give myself a 5. What I’m working on currently with my manager is sending weekly recaps to my team of where I’m at on the project. It’s more of the explanation and the humility. Take time to think through examples and situations so you can prepare a solid response to this question. Most kids’ entrepreneurial experience ends at a neighborhood lemonade stand, but that’s not the same for Samaira Mehta. She’s the CEO of CoderBunnyz, a board game that teaches children how to code. The best part? She’s only 10. But, don’t let her age fool you. This is one miniature business founder who knows how to play the business game and she has some valuable lessons for anyone who wants their child to be more entrepreneurial. Let’s take a look at four of them.? 1. You’re never too young to start a business. At the age when many kids are watching unboxing videos and dreaming about owning the toys inside, Mehta is the top dog (or top pup in this case) of CoderBunnyz and a public speaker around Silicon Valley, too. I’m a fan of getting children started early on their own business ventures. While a lemonade stand is good (although you may want to check to make sure you have your proper permits), there are other ways you can introduce kids to business. Both of my sons are on that track currently, with one having written and marketed a children’s book for charity and the other having started a nonprofit to help get more children involved in charitable work. Even small people can think big.? 2. Charity is a fantastic way to teach entrepreneurialism. Speaking of charity, kids love helping other people, which makes charity a fantastic way of teaching entrepreneurialism to youngsters. In Mehta’s case, she launched an initiative called Yes, 1 Billion Kids Can Code where people could buy CoderBunnyz and donate it to a school of their choice. Mehta would then visit the school and conduct a coding workshop there with the kids. For my boys, charitable work was a great gateway to entrepreneurialism. Posed with the question of how to help as many people as possible with limited resources, one of my sons hit on the idea to break a world record with cereal boxes, collecting food and publicity for his endeavor. If you want to teach your kids about business, start with the business of helping others. 3. Learning is much easier if it’s fun. As anyone who has tried to teach anything to another person can tell you, it’s easier if you can make it fun. Mehta did it with a board game and my son did it with his world record. But, this doesn’t just hold true for kids. Even if you are teaching adults, making it fun makes it stick in their brains longer. If you want kids to soak up what they can about business, you could try to find some way to make a game out of making money. 4. A little inspiration goes a long way. Mehta, in a video produced by the makers of The Powerpuff Girls cartoon, says she is inspired by Facebook COO Sheryl Sandberg and former first lady Michelle Obama, as they both encourage girls to strive for excellence. The CoderBunnyz CEO also became an inspiration herself when she was featured in the aforementioned video that featured real life “Powerpuff Girls” that help inspire other girls. She was featured in the video series after winning $2,500 for second place at Think Tank Learning’s Pitchfest in 2016. Not bad for someone who was eight at the time. While superheroes might look fun flying around on the big screen, I believe it’s important to also let your kids know who the real superheroes are so they can find inspiration grounded in reality. Ultimately, I think we can all be inspired by Mehta. By doing some good in the world and being a role model to others, she has shown that age is really just a number and being young shouldn’t preclude you from accomplishing what you want– which is maybe the best lesson of all to pass along to your children. As you build your business, the people you choose to bring along on the journey will have an outsize impact on your success. So, it’s important that hiring is always an organizational priority. At my company Amerisleep, we are selective about the candidates we recruit and retain. With the help of the right staff, we’ve been able to multiply our sales year-over-year and establish ourselves as one of the most reliable brands within the sleep category. Of course, finding the perfect new hires isn’t always easy. To enhance your recruiting process, I recommend the three steps below. 1. Use technology to sort through candidate lists but invest in having initial conversations. There are several ways new technology and automated procedures have vastly improved the hiring process. For instance, advanced analytics and candidate management tools have helped organizations increase their recruiting efficiency and engage with highly-qualified candidates across a variety of touchpoints. However, there are some parts of the process where companies have begun to rely too heavily on automation. When digital resumes and cover letters started flooding recruiters’ inboxes, it seemed like keyword scanning would be an efficient solution to handle the influx. Of course, keywords in a resume or cover letter don’t tell you much about a person. That’s why you should move as quickly as possible to start a real conversation with the applicants who interest you, even if it’s only a preliminary one. Structured chats are the best way to identify job seekers whose values and personality are a good fit for the position and your company. 2. Develop an exceptional end-to-end recruitment experience. If you want your hiring to stand out you need to treat it like marketing, sales and customer support. That’s because it involves the same components as those functions, only the candidates are your prospective customers and the position is your product. View the hiring process as a series of interconnected activities and create a holistic strategy that covers everything from initial awareness to onboarding that mimics the customer sales funnel. Establish a reputation as a business that builds and propels careers. Show applicants what they can learn on the job and why their best professional choice is to join your team. Invest in a seamless and welcoming onboarding experience too. By taking these steps, you will be able to present unified messaging and deliver a cohesive recruitment experience for all applicants. 3. Measure the bottlenecks at each stage of the recruiting funnel. To consistently improve the way you identify, engage and hire new team members, gather and analyze data from each stage of the recruiting funnel. Some of the things you’ll discover are the best outlets for sourcing quality candidates, the most effective processes, the length of time it takes to establish an opening and fill it, what percentage of applicants drop out in each stage of the hiring pipeline, and so on. Each of these and more represent an important data point that can help you improve incrementally and make hiring one of the strengths of your organization. By adding data to your arsenal, you empower your human resources team to generate better results from your recruiting investment. The world loves a good entrepreneur. In times of recession or prosperity, entrepreneurs propel our economy forward. They’re an impressive bunch, the “builders,” as Gallup calls them. The consulting firm used its decades of data to identify 10 talents that the best entrepreneurs foster in themselves to take the world by storm. Martin alludes to the issue of confidence. Without the ability to know your skills and to count on yourself, you can’t possibly expect others to put their support in you. The sooner you learn to delegate, the sooner you’ll rise to the top. No entrepreneur can do it all. Those who understand how to depend on others will succeed. Sandberg understands that even when the chips are down, she can still move forward an inch at a time. That’s where we find the determination to persevere when things get tough. Disruptors don’t accept the status quo. They strive to do and be more. If Jobs and his founding partners hadn’t envisioned something beyond the here and now, we wouldn’t all be connected by the phones in our pockets. Entrepreneurship is a chance to start something that is uniquely yours. It requires a commitment to independence in executing your vision and forging a new path. Builders constantly improve their knowledge, whether formally or informally. This could mean waking an hour earlier to educate yourself on industry trends or enrolling in an online course. The key is to never sit still. When Thomas envisioned Wendy’s, he was going against stiff legacy competition. Yet it didn’t deter him from bringing what he felt was a better product to his target customers. He observed a need for a new type of fast food, and he brought it to market because he anticipated its profitability. Selling is about developing relationships with others, whether clients, investors, employees, or co-founders. Entrepreneurs must connect socially with prospective buyers, wooing them with must-have goods and services. When you’re in a high-risk environment, do you automatically flee? Or do you weigh your options without giving in to full-blown risk aversion? Entrepreneurs cultivate the wisdom necessary to know when to leap–and when to stay grounded. This is the difference between a maker and doer. The latter is the spokesperson who takes the product to market and is suited to selling the company’s vision. Feel as though you’re scoring fairly high in each of these areas? You might be able to join the ranks of builders around the world. Cultivating relationships and persevering with determination are my biggest strengths. They’ve enabled me to get to where I am today. On the other hand, I constantly struggle with setting aside time and energy into learning more. Don’t worry if you’re not as proficient in some of these talents as you are in others. With a bit of determination and spirit, you can improve your skill sets, find partners that complement your talents, and head out in search of success. They are an amazing way to give your audience valuable content, all while boosting your own authority and visibility. My company, MobileMonkey, held its first virtual marketing conference made up of six webinars last month, and our turnout was incredible. Ten thousand people signed up for the summit and we saw a direct increase in our messenger marketing software. Here, I’ll share 5 tactics we use to promote webinars and conferences to skyrocket event attendance! You can promote a webinar all you want, but if the topic isn’t useful or interesting, no one’s going to sign up. Brainstorm about what topics will be most useful to your audience. The best webinars will provide unique solutions and actionable tips. Research other webinars that are covering similar topics to your own, and find ways to bring even more information to the table and make it stand out. Collecting email addresses is essential for keeping track of attendees, and gives you a mailing list to follow up with down the road. To get people to provide their email addresses, make sure to have a seamless web registration page that people can find right away. Make sure the registration page is a simple and easy-to-fill form that registers them for the webinar as soon as they click on the join/register button. Add a prominent button with the registration link to your sight, and make it easy to share socially. You can also have people register through Facebook Messenger. Facebook Messenger has sky-high engagement, with an average open rate of 80% within the first hour. With Facebook Messenger chatbots, you can easily deliver a registration form right through Messenger. Messenger forms are mobile-optimized, so people can register from their phone or tablet with ease. Now that you’re connected on Facebook Messenger, you can use a chatbot to follow up with registrants. You can send automated messages giving them updates about the webinar, share the agenda, announce new co-hosts, etc. You can even send a round of messages right before the webinar to conveniently remind them it’s about to start! Since you’ll have attendees across time zones, schedule your webinar at a time when your guests will be most likely to tune in. For example, starting at 8 a.m. ET will probably result in low-attendance from people on the West Coast, where it will still be 5 a.m. PT. Where do you anticipate your attendees viewing from? Identify the primary time zones in which you expect viewers, and try to choose a time that will work across the board. Hopefully these hacks will come in handy when you’re ready to promote your own webinar! It’s hard to predict what will happen once technology is loosed upon the hoi polloi. They might love it, or trash it. They might break it and need someone to fix it. They might pooh-pooh and ignore it, even though it’s great. This week, we explored the unintended consequences of a bunch of big companies’ and engineers’ decisions, and their efforts to patch—or embrace—them. Senior writer Jack Stewart explored why cheap, fun, small used electric vehicles haven’t caught on yet (and argued that they really should). I looked at a scooter company that’s trying to fix the “street clutter” issue that vexes so many city residents. And transportation editor Alex Davies chatted with AAA researchers who determined that cars’ advanced safety features are great—but super expensive to fix. Plus, a World War II-era plane crashed in LA, we pondered the trolley problem (again) (ugh), and Tesla had a huge, huge week. Let’s get you caught up. Tesla has had a weird few months, PR-wise. But this week, the electric carmaker put up big, big numbers, announcing it had turned a $312 million profit in the third quarter, delivering more cars than it had in all of 2016. Now it just has to keep it up. The scooter wars have made it to their hardware innovation phase, wherein each company finally tries to differentiate its product. The latest from Skip Scooters: A bike-lock-like latch that could secure the scoot to bike racks, street signs, whatever. Skip hopes the latch will make cities less nervous about sidewalk clutter. As still zippy, cheaper, used EVs make their ways back to lots, Jack gets behind the wheel of a Chevy Bolt and asks: Why aren’t you thinking about buying a small electric car? For two years, nearly 40 million participants in 233 countries and territories have told MIT researchers who they would rather have a self-driving car kill in a no-win crash situation. The data shows that we’ve got a lot in common—we don’t like killing young people—and some differences. Japan is more into the idea of sparing someone because they’re walking with the light, and those in Nicaragua feel it’s better to spare people who are in shape. But it seems all that info isn’t so useful for the people building self-driving cars. Not yet. Advanced safety features, enabled by new sorts of radar and cameras, are great at keeping passengers safe. But a new AAA report finds that they cost a pretty penny to fix. Just something to know before you drive that new car off the lot. The world of international tourism is topsy-turvey—some places have way too many visitors; others, too few. WIRED contributor Nick Stockton argues that the powers at be in places like Venice and Bali could fix some problems by consulting every highway managers’ favorite people: traffic engineers. You want to be able to see clearly out of the car you’re driving; you also don’t want to get crushed if the worst happens. Too bad the A-pillars are great for one (the not-crushing part) and terrible for the other (the seeing part). A new concept from Continental, though, offers a potential solution: cameras that render the A-pillar invisible, and the driver omnipercipient. Please forgive us: This is not, technically, a car. (Like, at all.) 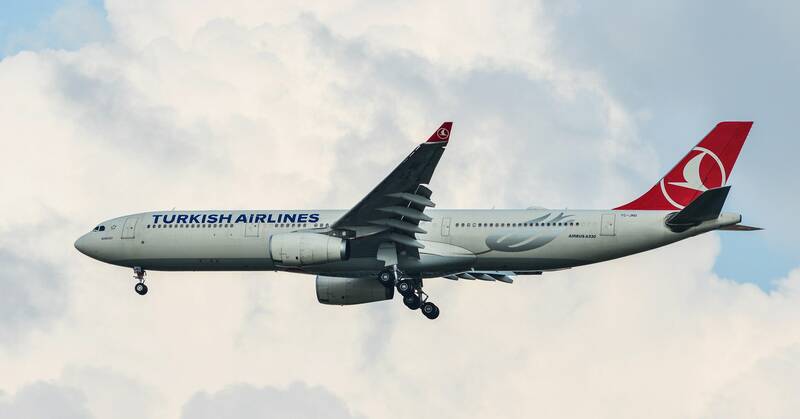 But as transportation enthusiasts, we couldn’t help but look into the story of Turkish Airlines Flight 800, which managed to go 800 miles out of its way during a Panama to Istanbul flight—and make it to the ground on time. Registration data collected by the IT service management company Experian Automotive suggests electric vehicles account for just under a percentage point of the US vehicle market. That seems small, but it’s nothing to sniff at: EVs had 0 percent market share in 2008, and 0.5 percent in 2016. How’s this for an unintended consequence? How an accidental oasis in the Mexican desert sank Arizona’s $250 million desalination plant. The brutal murder of journalist Jamal Khashoggi at Saudi Arabia’s Istanbul consulate this month, which Turkish officials say was carried out by Saudi agents, has sparked a reckoning in Silicon Valley. The kingdom has poured billions of dollars into the tech industry, and a number of prominent startups, including darlings like Uber, WeWork, and Slack, may now need to grapple with the consequences of enriching a brutal regime. More broadly, some founders, venture capitalists, and other investors are beginning to ask a simple but often neglected question: Where is our money coming from? Saudi Arabia’s massive investments in American tech companies have been hard to ignore. The kingdom contributed $45 billion to the SoftBank Vision Fund, which has invested in American tech companies like Doordash, Wag, WeWork, Slack, and Uber. Saudi investors have also directly joined fundraising rounds totaling $6.2 billion over the last five years, according to data gathered by Quartz, though their exact contributions were not disclosed. In the last two years, those investments have included Lyft, Snap (Snapchat’s parent company), and the virtual reality startup Magic Leap. In a recent blog post, Fred Wilson, the influential co-founder of Union Square Ventures, wrote how the CEO of a company he invested in asked about the identity of his partners and their interests. It was an inquiry Wilson doesn’t remember receiving in the past. “I expect to get more emails like this in the coming weeks as the startup and venture community comes to grip with the flood of money from bad actors that has found its way into the startup/tech sector over the last decade,” he wrote. While startup founders are often very aware of the reputation of venture capital firms, they’re less likely to know who holds the hose spewing the cash VCs manage. That’s because firms aren’t under any obligation to disclose their partners. “They are often very secret,” says Ben Werdmuller, a founder and former venture capitalist at the media startup accelerator Matter. Corporations, including tech firms, have long been criticized for operating in countries with authoritarian governments. Google has recently come under pressure by lawmakers and its own employees for reported plans to launch a censored search engine in China, for example. But accepting a major investment can be more extreme, says Kirk O. Hanson, a senior fellow at at the Markkula Center for Applied Ethics at Santa Clara University and a former Stanford Graduate School of Business professor. Many of these investments have been made through state-owned sovereign wealth funds, which have become major sources of capital in recent years. State-owned Saudi funds aren’t even the half of it. The kingdom’s direct investments in American tech companies look measly compared to the $45 billion its Public Investment Fund has contributed to the $100 billion Vision Fund. 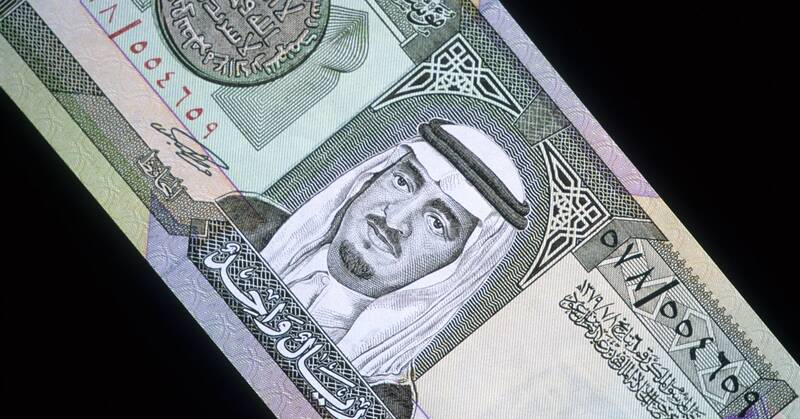 Saudi Arabia reportedly wants to invest another $45 billion in a second Vision Fund, though the plan might fall apart amid the fallout from Khashoggi’s murder. “That’s not just about Saudi Arabia, that’s about Russian oligarchs and whoever the next problem is going to be,” she says. Now some founders and investors are questioning not only Saudi financing, but also other unsavory parties who may have invested in their companies and share in their wealth. Hanson says many startup founders have historically only considered the source of their financing in business terms, rather than ethical ones. “I would hope that Silicon Valley startups were always concerned about the source of the money, but my experience is that they most often have been concerned only if it threatens their intellectual property or creates an obligation for the right of refusal or potential acquisitions,” he says. Hunter Walk, a partner at the venture capital firm Homebrew, says he’s glad the origins of tech funding are being discussed, even if the catalyst for the conversation is horrific. “When Homebrew started in 2013, and through all three of our fundraisers, we’ve resolved to only take investment from [limited partners] who we believe share our values,” he said in an email. The firm has invested in successful companies like The Skimm. Some founders think the reckoning in Silicon Valley has to go far beyond ensuring startups refrain from accepting funds from objectionable interests. Criticizing the morality of the current tech ecosystem is like “criticizing fire because it’s hot,” says Mara Zepeda, the co-founder of Zebras Unite, a movement that calls for a more ethical and inclusive startup and capital venture culture. She argues Silicon Valley VCs have always been upfront about their intention to put growth and profit above any espoused values. Zepeda says Silicon Valley should take the current moment to reassess not only where the money has come from, but also where it goes—and who isn’t receiving a slice of the pie in the first place. All-female startups received just 2 percent of venture capital funds in 2017, while all-male teams received nearly 80 percent, according to data gathered by the VC and private equity database PitchBook. People of color have similarly been left out. If you want to sleep better, make space in your day to be bored. There’s a reason so many people have trouble falling and staying asleep. Before the internet and Facebook existed a person’s day naturally had periods of downtime and boredom, such as waiting in line at the grocery store or the bank. Today, most people have a mobile device in-hand at all times and avoid these minutes of looking around at nothing by zoning in on the apps on their phone. Sleep psychologist Dr. Nerina Ramlakhan explained to The Guardian that the human brain actually needs breaks in concentration and if it’s constantly focusing on something it becomes overloaded. As a result, adrenaline levels rise and it becomes increasingly more difficult to shut down at night. Are there times in your day when you can shut off your phone, computer and television to get comfortable doing and thinking nothing for a few minutes? If you want to be less constipated, sit up straight. According to Harvard Medical School, slouching in front of a computer, while looking down at your phone or watching TV on the couch leads to physical problems. In addition to back and neck pain, headaches, poor balance and breathing problems, poor posture can contribute to incontinence, constipation, heartburn and slowed digestion. If constipation is your problem, don’t hunch over when seated on the toilet, but straighten your back and lean forward at the hips. And if you can put your feet on a footstool so your knees are higher than your hips, even better. Apparently, this position is similar to squatting which makes it easier to do your business. If you want to lose weight, eat whatever you want 20 percent of the time. Serdar Tuncali, author of the blog Nerd Getting Fit, charts the waning interest in several popular diets over time (Atkins, Dukan, Paleo and Keto). While they may produce good results initially, they’re difficult to maintain in the long term, which is why people ending up moving on to a different trend. Instead, Tuncali suggests what he calls “flexible dieting,” which involves eating clean, unprocessed whole foods 80 percent of the time, and whatever-the-heck-you-want the other 20 percent of the time. If you really want to lose weight, though, you’re going to have to track your macronutrients (meaning how many grams of carbs, protein, fat you’re ingesting and how those numbers translate into calories). Then you need to know what your total daily calorie expenditure (TDEE) is (which you can calculate according to your weight and how active you are). For most people, Tuncali writes, eating 20-30 percent less calories than your TDEE will result in weight loss. Just read his fantastic post on the subject, which explains everything. If you want a better memory, exercise. And what, you might ask, is in a Classic Meal Deal? According to McDonald’s, the new combo will include a choice of one of four of McDonald’s entrees: 100% fresh beef Quarter Pounder with Cheese, Big Mac, 10-piece Chicken McNuggets or Filet-O-Fish. In addition to the entrée, you’ll also get any size soft drink or sweet tea, a small bag of fries, and an apple pie or seasonal pie for dessert. There are a couple of caveats on the deal: it will be available for a limited time and only at participating restaurants. Ultimately, time will tell whether or not these latest marketing moves will have the positive impact on the bottom line that the company hopes for. One thing is for sure — the competition is heating up. These are life transitions — they are no easy feat, and often come when we least expect them. Embrace this new period of your life as you set out for a new exciting journey.